“It is my wish to continue the Bank as my agent to draw my salary . . . "
John McLean, 1785–1861. Associate Justice, United States Supreme Court, 1829–1861. Autograph Letter Signed, John McLean, one page, 7¾" x 9¾", with integral leaf attached, on blind-embossed stationery, Washington, [D.C.], January 10, 1840. McLean is perhaps best known for his dissent from the United States Supreme Courtʼs infamous decision in Dred Scott v. Sandford, 60 U.S. 393 (1857). The majority, let by Chief Justice Roger B. Taney, ruled that Scott, a slave, was not an American citizen and therefore could not seek his freedom in federal court. For McLean, the slave ownerʼs argument that "a colored citizen would not be an agreeable member of society" was "more a matter of taste than of law." In this letter, McLean, as Associate Justice, writes to the cashier of the Bank of the United States in Philadelphia regarding his financial matters. McLean had previously served as a director of the Bank. He writes, in full: “I am anxious to hear from you in answer to my letter from Ohio, respecting my note, which appears to stand in Bank against me, since July last. I am not mistaken in saying that you will find every dollar of the note paid on or before the first of July. And I have to ask of you the favor to have my account sent to me at this city. / It is my wish to continue the Bank as my agent to draw my salary, and I would request whether it would not be just for the Bank to credit me with the difference in value between the funds it receives from the government, and its notes which are paid on my checks. / With great respect / Your obt sert. . . . "
When President Andrew Jackson appointed McLean to the Supreme Court in 1829, McLean was already on on record as opposing slavery from his time as a judge of the Ohio Supreme Court. In State v. Carneal (1817), he wrote the courtʼs opinion holding that a Kentucky slave owner forfeited his ownership when the sold the slave to a third party who had him work in Cincinnati. In dictum, McLean wrote that, although the "abstract principle of slavery" was not an issue in the case, the court, "as well as from the principles recognized by our Constitution and Laws, could not hesitate in declaring that slavery . . . , except for the punishment of crimes, is an infringement upon the sacred rights of man: Rights, which he derives from his Creator, and which are inalienable." McLean served in Congress before returning to Ohio. President James Madison appointed him commissioner of the General Land Office in 1822 and made him Postmaster General in 1823, a position to which President John Quincy Adams reappointed him in 1825. Four years later, President Andrew Jackson appointed him an Associate Justice of the Supreme Court. McLean took the oath of office on January 11, 1830, and served 31 years, until he died on April 4, 1861. During his time on the United States Supreme Court, McLean wrote 160 majority opinions and 30 dissents, including his Dred Scott dissent. This is a nice letter. McLean has written and signed it and addressed the integral leaf in brown ink. 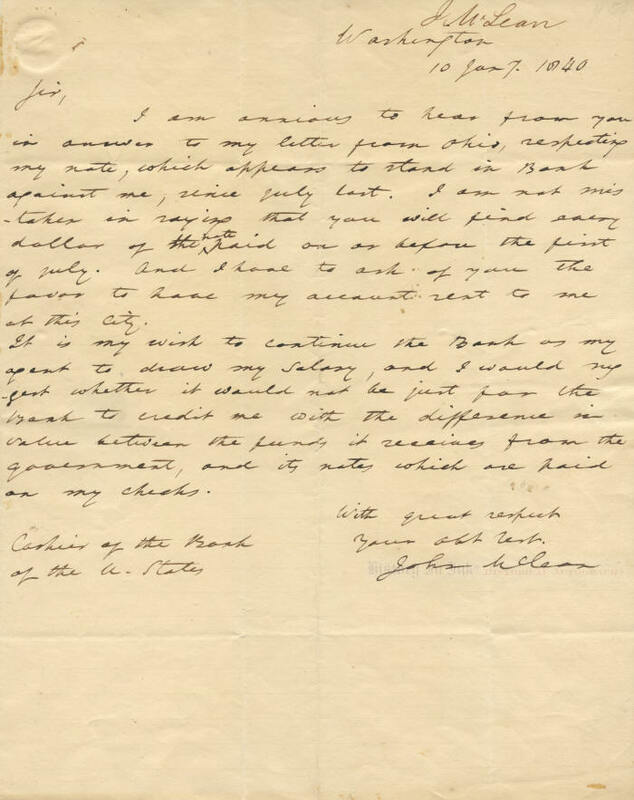 The letter has normal intersecting mailing folds, and McLeanʼs name is written in another hand in the upper right margin.  There are mounting remnants on the fold edge of the integral leaf, and there is a missing fragment on the edge of the integral leaf from where the original wax seal apparently was removed. A bit of the seal remains, however, and the integral leaf bears a beautiful circular "Washington City" postmark. Overall the letter is in fine condition.